You are invited to a winter gardening class with Justin Butts next Wednesday, August 14, from 10:00am to 12:30pm. The class will be held at the Aransas County Extension office at 892 Airport Road in Rockport, TX 78382. This class is sponsored by Texas A&M AgriLife Extension and the Master Gardeners of Aransas County. Winter is a wonderful time to garden in South Texas with beautiful weather, bountiful vegetables, and minimal pest problems. 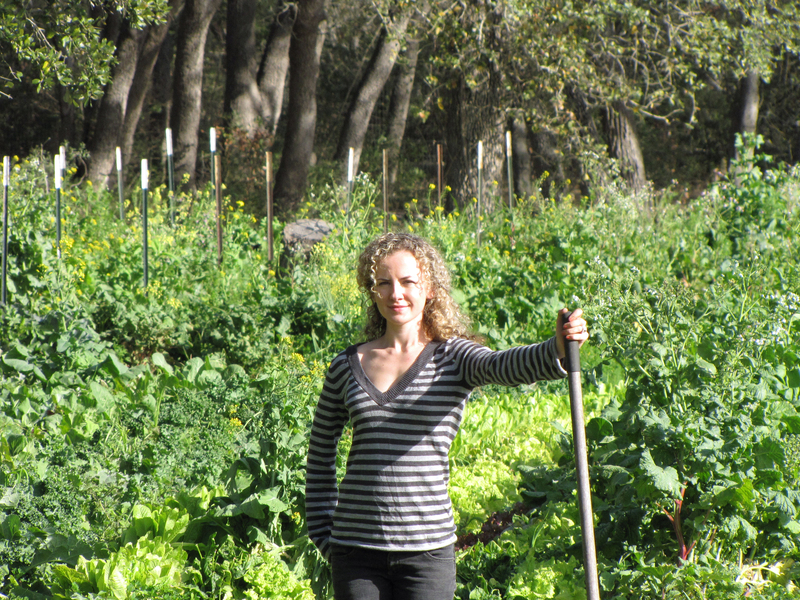 Join us to discover the chemical-free methods we use on our farm to grow healthy, delicious, and prolific produce. Call the Aransas County Agricultural Extension Office at 361-790-0103 for more information, or go to http://aransas.agrilife.org for more information. There is a $10 registration fee for this class. The class will be held indoors in the state of the art classroom facility at the Aransas County Extension Office. The class will focus on: 1) preparing the soil for a Fall/Winter garden, 2) companion planting from seed to maximize yield and variety, and 3) controlling pests naturally. Gardeners of all ages and skill levels are welcome. Even if you have never planted a seed, you will go home with the knowledge to start your own successful winter garden. When: Wednesday, August 14, from 10:00am to 12:30pm. I have a clear memory from childhood, at five or six years old, of my father running across the lawn in his boots and his cowboy hat, yelling at the top of his lungs. He was carrying a can of wasp nest spray in his hand, and he was being was chased by a big cloud of wasps. The only thing I learned from this scene was to fear wasps, and that was an unfortunate lesson. 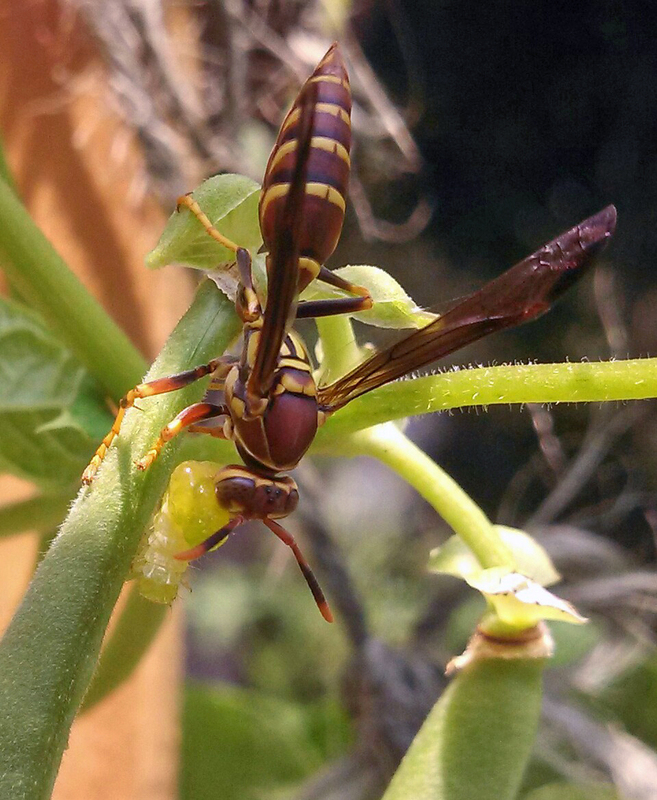 It took me a long time to realize that wasps are highly beneficial in the garden. Wasps eat an enormous amount of caterpillars and other garden pests. The wasps from a single small nest can quickly eliminate an entire pound of insects from a backyard garden–and that is a lot of garden pests you will never have to worry about. Wasps patrol among the plants hunting. 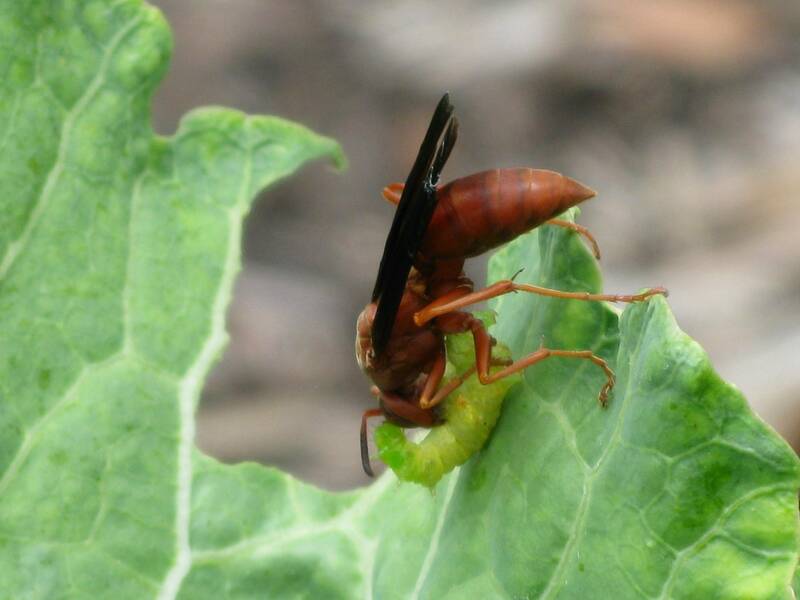 When a wasp sees a caterpillar, the wasp attacks and stings the caterpillar to paralyze it. Then the wasp picks up the caterpillar, flies it back to the nest, and stuffs the caterpillar into the holes of the comb. The queen lays her eggs inside the caterpillars, and the baby wasps eat their way out. Mud daubers only eat spiders, and some mud daubers species only eat brown recluse or black widow spiders. 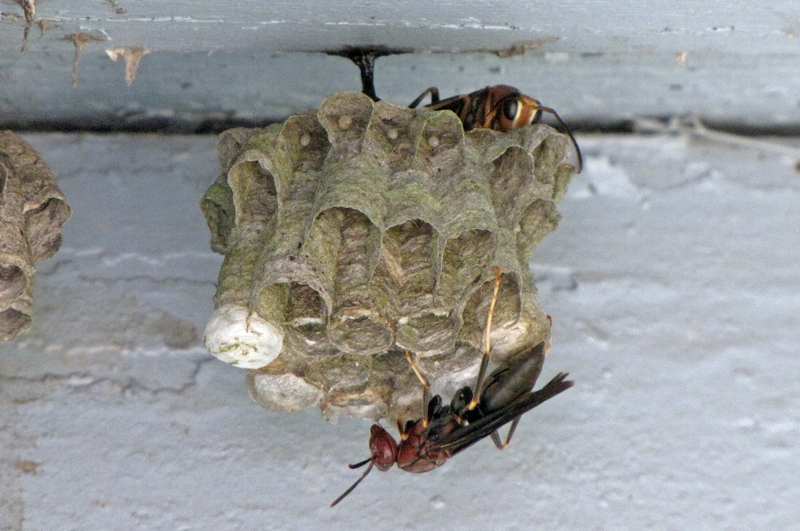 The mud dauber paralyzes the spider, picks it up and flies or drags it back to the nest, and then stuffs the still-living spider into one of the chambers. 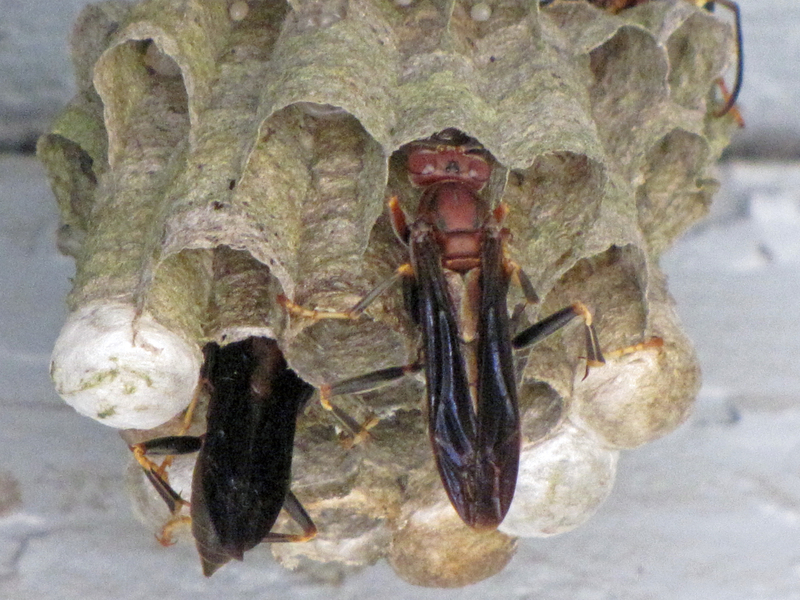 The mud dauber babies move through each chamber of the nest and first eat the legs of the spiders, to keep them alive longer, then go back and eat the spider heads, then the bodies. It is best to let mud daubers do their work, because there is no chemical insecticide as effective as mud daubers at controlling the spider population around your home. In every generation of wasps, only a few of the females, the ladies-in-waiting, survive the year. 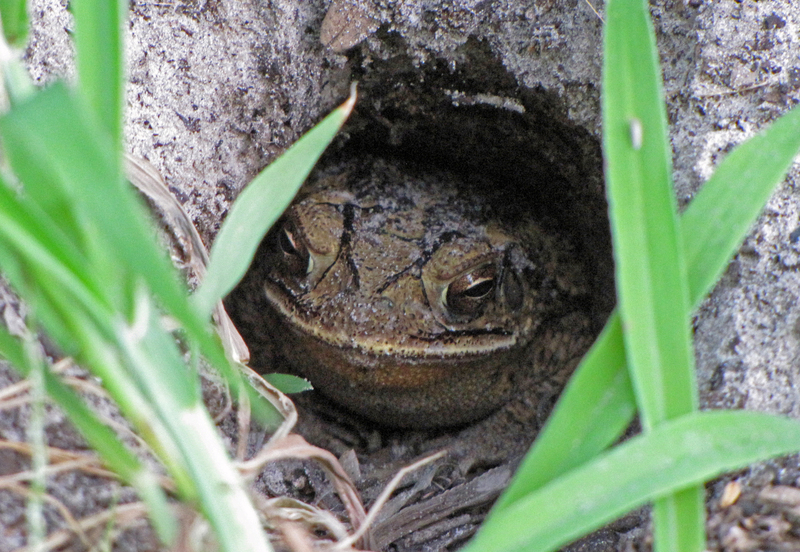 They hibernate in cracks and crevices during the winter and emerge in the spring to build new nests. 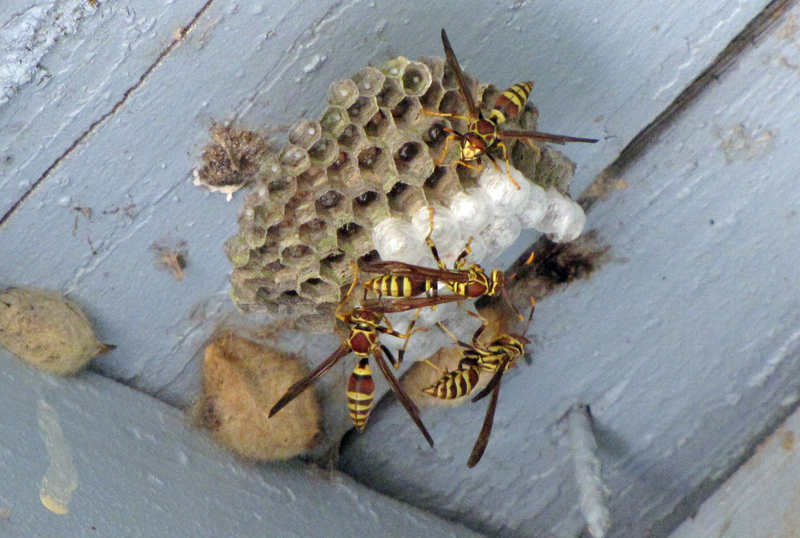 If you destroy a nest and kill these ladies-in-waiting, your pest population will get far out of control long before the wasps can repopulate and help you in the garden. 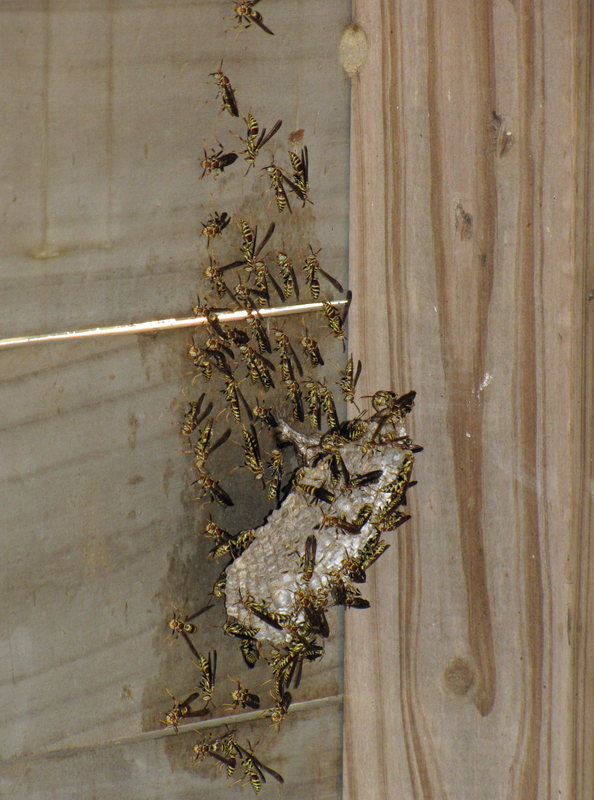 Wasps never re-use their nests, so wait till autumn when the wasps are gone, if you want to clear out old nests. To attract wasps to your garden, all you need to do is leave their nests alone, unless the nest is in a doorway or high-traffic area. Nobody wants a wasp sting, but the truth is that wasps rarely attack, unless someone is bothering their nest, as my father can certainly tell you. And Dad can’t run as fast as he could in the old days, so now he leaves the wasps alone—and that suits me just fine. On our farm, we encourage a healthy wasp population, and that is one of the reasons we never have to use toxic pesticides in our gardens. In fact, these days, I am more concerned about seeing a can of wasp nest spray, than I am about the wasps. Most of us recognize the softer side of lady bugs, their iconic spots, and their delicate beauty. But lady bugs have an aggressive side, a ravenous appetite, and even their bright colors serve as a warning. Lady bugs are lovely, but they are also ferocious predators. Lady bugs have sideways-facing jaws like tiny steel traps. They use these powerful jaws to devour hundreds of aphids every day. Aphids are a terrible garden-destroying pest, and a single lady bug can eat more than 5,000 aphids in her lifetime. Lady bugs lay their eggs in yellow clusters on the undersides of leaves. When the eggs hatch, the babies look nothing like lady bugs, but more like tiny black and orange alligators that scurry across the leaves. These voracious larval lady bugs eat their full weight in aphids every single day as they grow into adults. When threatened, lady bugs emit a foul-smelling fluid from their leg joints. This toxic secretion, called hemolymph, repels predators. The fiery colors and bright spots on a lady bug’s back are nature’s way of warning enemies that lady bugs are bad to eat. 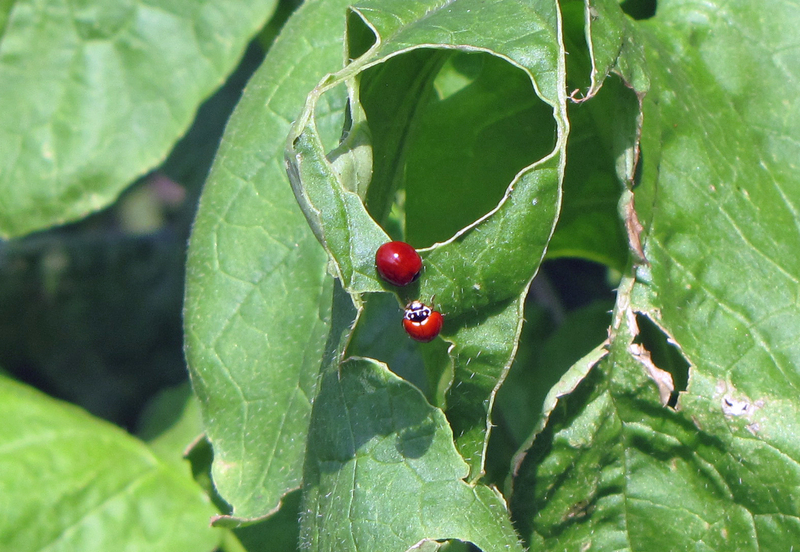 Even the eggs and larva of lady bugs are poisonous to predators. Typically, the only thing that kills lady bugs is chemical pesticides, which can’t distinguish between good bugs and bad. Unfortunately, pesticides kill lady bugs in their adult as well as their egg and larval stages, so one spray could destroy all the current and potential lady bugs in the garden. Aphids, on the other hand, are more pesticide-resistant, and aphids reproduce a new generation every week. 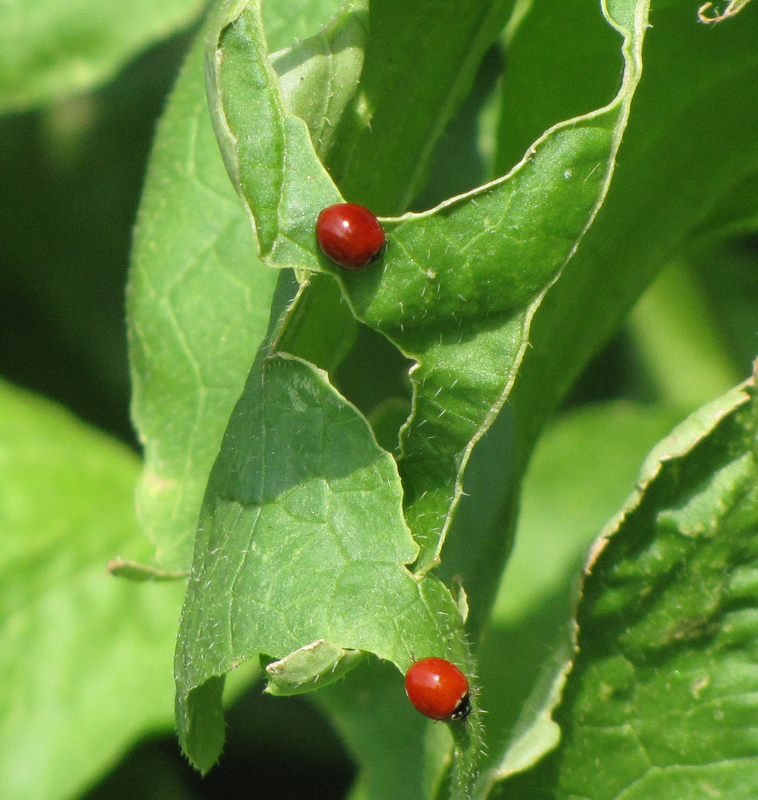 Without lady bugs to control them, aphids can quickly do enormous damage to your vegetables. To bring lady bugs to your garden, you can order them over the internet. An insectary will ship a package of living adult lady bugs to your mailbox. Release a few of these lady bugs into the garden each evening at dusk, and store the rest in the refrigerator. If you release the lady bugs all at once, they will swarm into the air and fly straight back to the insectary where they were born, like homing pigeons. Before releasing them each evening, water your garden and spray a little liquid molasses onto the leaves. This sugary energy will help your lady bugs get started. Re-seed lady bugs into the garden several times until a native population establishes itself. Lady bugs love the nectar of flowers, and they especially need nectar when laying eggs. Plant flowers generously among your vegetables: Queen Anne’s lace, nasturtiums, cosmos, marigolds, and sunflowers. Plant basil, dill, and cilantro between your vegetables, and let them go to flower. 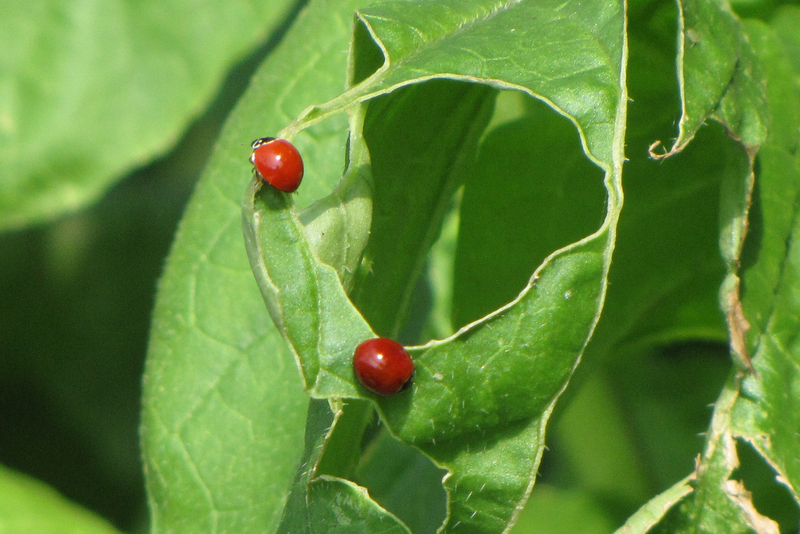 Lady bugs especially love the flowers of bean and pea plants. Lady bugs are adorable, but they are also voracious predators. They sweetly go about their business of devouring your garden pests. Lady bugs have a well-earned reputation as the gardener’s good friend, and they are nature’s most charming pesticide. With this beautiful warm weather comes caterpillars. Caterpillars do not come all at once, although sometimes, to the gardener, it may seem that way. Caterpillars come in continual waves throughout the spring and summer. It is best to have a plan to manage for caterpillars, because they can do a lot of damage to the garden. 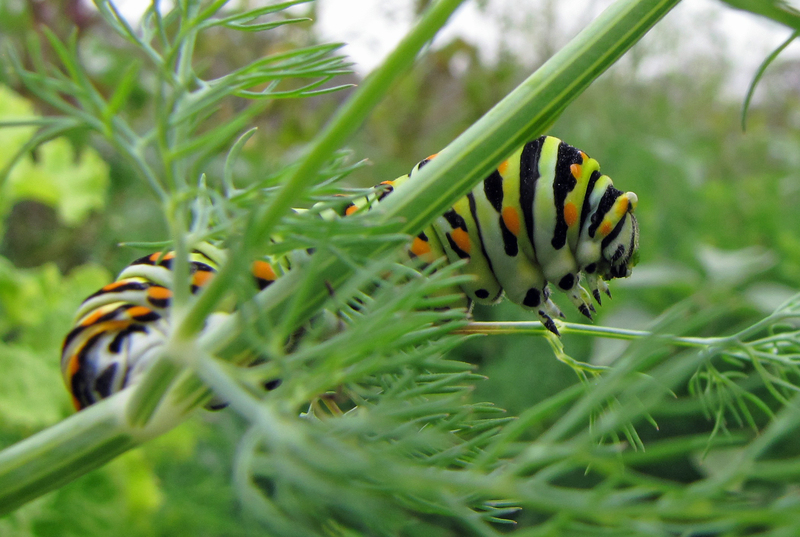 It is not a good idea to use chemical pesticides to treat for caterpillars. 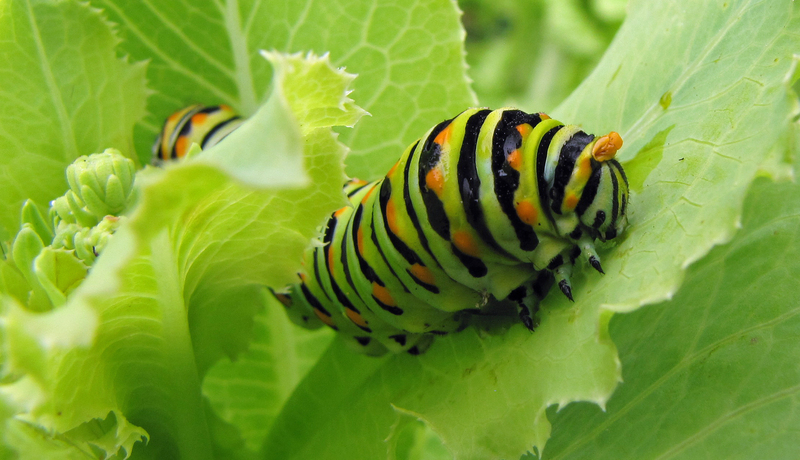 An application of chemical pesticide may kill active caterpillars in the garden; however, it also kills beneficial predators and the healthy microbes and bacteria in the soil. That is why pest problems always return after an application of chemical pesticide , and usually worse than before. Not only that, chemical pesticides are expensive, take a lot of time to go the store and buy, and then to apply. Chemical pesticide residue is bad for the health of the humans who eat it in their garden produce–not to mention the impact of chemicals on the taste of the produce. This is a steep price for something that actually makes the problem worse in the long run. 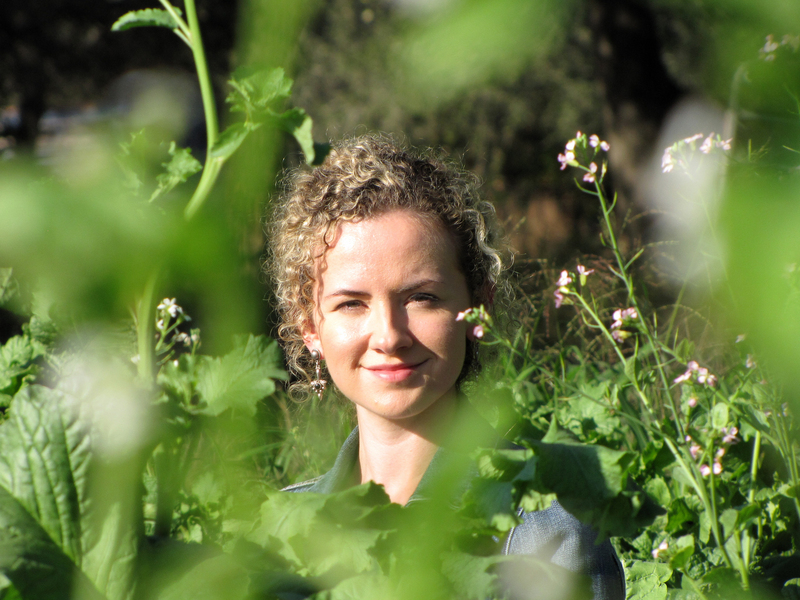 Following are safe and chemical-free solutions to caterpillars that we use on our farm. Of course, our gardens are invaded every year by caterpillars, just like everyone else’s. However, because of these methods, we spend very little time treating for caterpillars, and they do little damage in our gardens. 1) To prevent caterpillars before they become a problem, try companion planting. Plant marigolds around your tomatoes; nasturtiums around the squash; and plant basil, dill, and cilantro throughout your vegetable garden. These companion plants repel or confuse pests, to keep them off of your vegetables, and they add a great deal of color, fragrance, and beauty to the garden. 2) When caterpillars do arrive, try using the highly effective “pinch method”. Simply pinch the caterpillar between your thumb and index finger, and work through the garden until the pests are gone. If you don’t want to squash the caterpillars, drop them into a bucket of soapy water, or simply relocate them a safe distance from your garden. The pinch method works best at night. 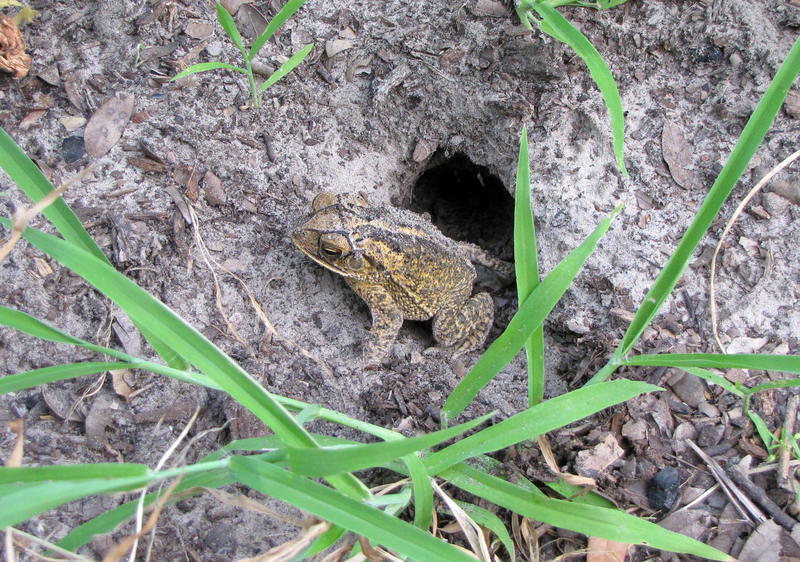 During the day, most garden pests hide in the soil, and when they see you coming, they are very good at scampering out of your reach. To save yourself a great deal of time and work, get an inexpensive hiker’s headlamp, that allows you to shine the light, hands free, wherever you look. At night, all the pests of your garden are active, and they will come to the tops of the plants and fight to get into the light. You can rapidly pinch away most of your pest problems in one or two short sessions of night pinching. 3) You can also spray Bt, or Bacillus thuringiensis, an effective organic pesticide. Bt is a naturally occurring bacteria that paralyzes the digestive system of caterpillars, but does not affect other insects, plants, or humans. When caterpillars ingest Bt, they immediately stop feeding and eventually die. Spray the tops and undersides of leaves until dripping with Bt, only at dusk, because sunlight kills the good bacteria in Bt, and you want the Bt on the leaves at night, when caterpillars are most active. 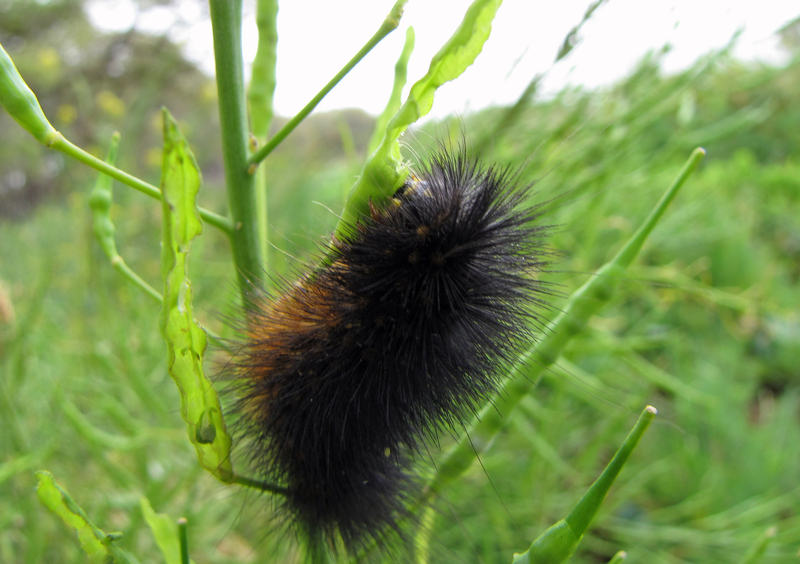 4) The best long-term solution for caterpillars is your native population of beneficial predators. These are the birds, wasps, frogs, toads, lizards, lacewings, dragonflies and many other friends of the garden that eat caterpillars and other pests. 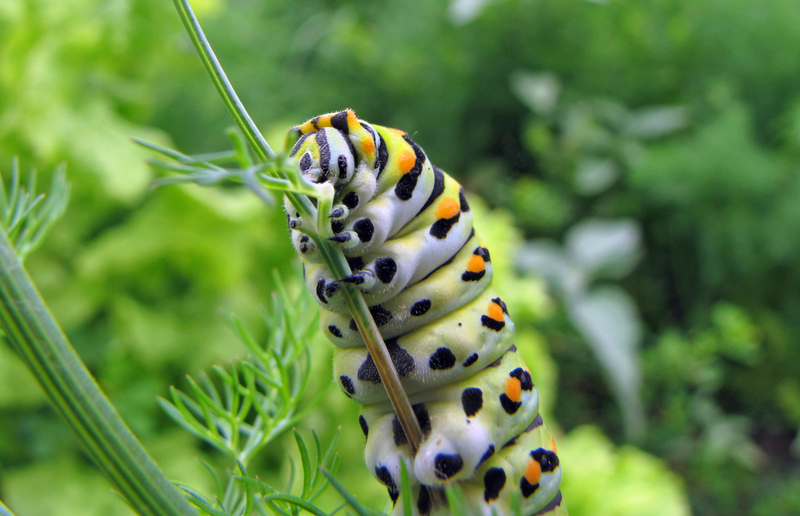 Once beneficial predators are established in your garden, you will rarely need to treat for caterpillars. 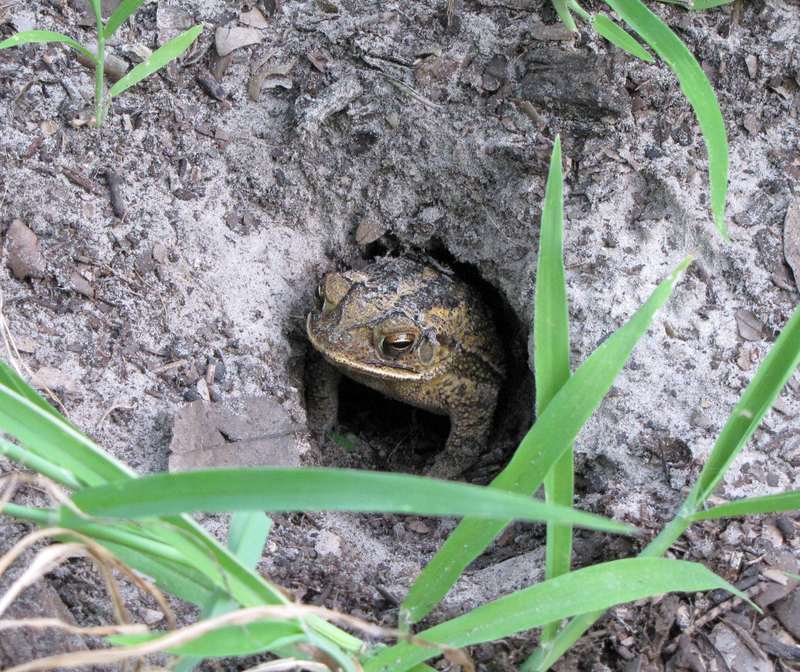 To attract beneficial predators, create a safe habitat, or sanctuary, to protect them. A hummingbird or butterfly garden, or any dense thick planting with a lot of flowers and ground cover gives the predators a place to hide when they are not hunting your garden pests. 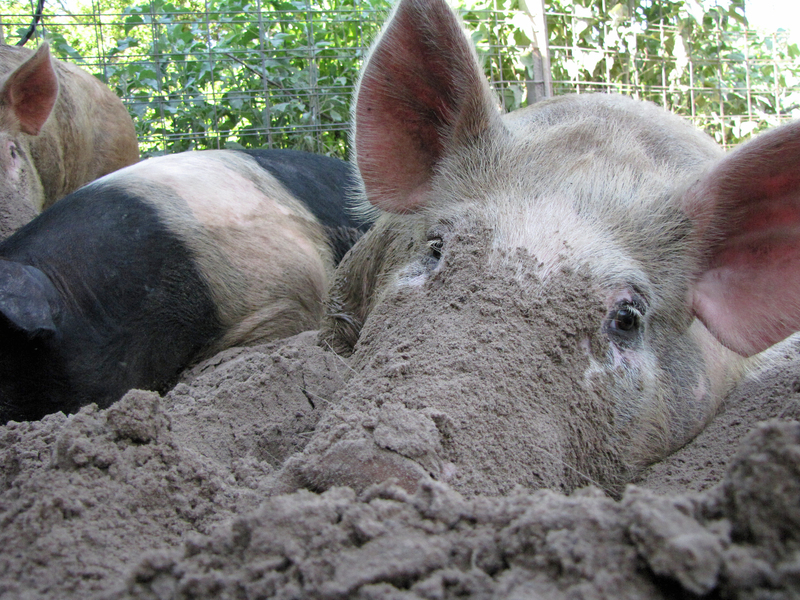 5) Finally, the best pesticide of all is healthy soil. Caterpillars attack the weakest plants first; it is nature’s way of eliminating weak plants from the gene pool. 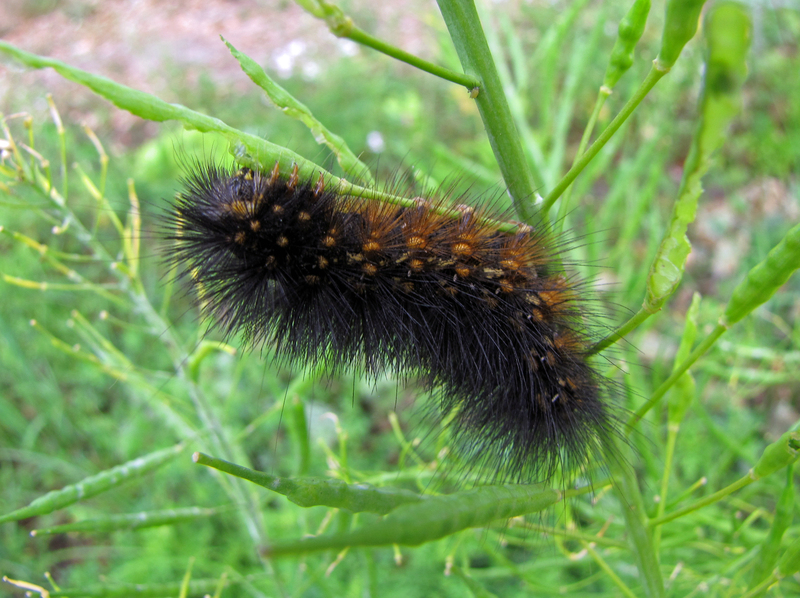 If you have the weakest plants in your neighborhood, the caterpillars will visit your garden first. If you have a healthy garden, the caterpillars will start with the weakest plants, giving you time to find them and treat for them. Also, healthy plants resist bugs and disease extremely well, and recover quickly after an attack. 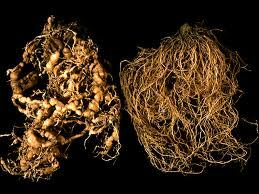 The healthier your garden soil, the healthier your plants, and the less you will need to treat for pests. Let us know how these techniques work in your garden. I invite you to send us your chemical-free tips, as well, on how to treat for caterpillars.